As time goes on, the hosting industry has developed tenfold. The market has become increasingly competitive, forcing web hosting companies to evolve and keep their prices in-line or below their rivals. We now have hundreds of customer reviews, so please write one and share your experiences (both good or bad). If you’re searching for a host which is affordable, rich with features, innovative and provides world-class performance statistics, there’s no question that SiteGround is the right choice. I’ve always raved about SiteGround when I started using them back in 2014, since then they have blown the competition away (just look at their growth). I use them for all of my sites and will continue to do so because they are simply the best! They are also voted #1 by numerous FaceBook groups (read my review). There’s no doubting the experience that BlueHost bring to the market. Established in 1996, they host millions of websites across the world. If you’re set on, or already are hosting a site via WordPress, BlueHost can offer you a great marriage of value and performance (including speed and reliability). Their 24/7 customer support is available should you need any assistance. You get a whole lot more for your money than you’d think with iPage. This budget web host offers outstanding features for just £1.50 per month, not bad hey? iPage, for me, not only feels like a reliable and affordable web host, but also a responsive, user-friendly tool that enables its’ customers to put together the full package. Hostinger offers clear hosting plans which are targeted to a variety of users. If you’re looking to host a small website or blog but don’t want to pay through the roof, you can nab a plan from £0.80 per month. If you sign up to their middle or top pricing plans, you’ll get a domain for your website thrown in, absolutely free. Hostinger is a powerful platform, offering a 99.9% uptime guarantee, and they display their server statistics using real-time data. Their response times are well within the average, and in my tests, actually exceeded this every time. If you’re looking for a budget host then look no further. HostGator, have been a solid presence in the web hosting community for years. As you’ll see from my reviews, HostGator churn out some impressive speed and reliability results at a fraction of the cost of other competitors. 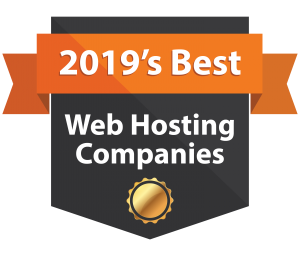 As far as web hosts go, if you want an affordable pricing plan that offers eCommerce features, HostGator can dish this up on a plate with no fuss at all. They’ve taken their decade of experience and applied it across the board to appeal to a real selection of markets. If you’re not sure where to start on your web hosting journey, GoDaddy is a great option. They provide plenty of features to get started, backed up by decent performance statistics, and aren’t too pricey! I’d highly recommend them for beginners or small businesses looking to make a name for themselves. They make web hosting look easy, and provide an excellent user experience. If you’re worried about your carbon footprint, GreenGeeks are your go-to eco-friendly web host. Similar to SiteGround, this web host provides a variety of data center locations from you to choose from, as well as modern technologies to host your site through 2018. GreenGeeks aren’t for everyone but they certainly strike a nice balance between features and affordability. They’re a great choice if you’re just starting to dip your toes into the eCommerce world but don’t necessarily want to pay through the roof. Another eco-conscious contender, FatCow boasts more of a playful nature that’s been around for 20 years. For many years FatCow were somewhat stuck in the 90’s but have, of late, updated their payment methods and features to bring themselves up to standards. From only £3 per month, FatCow (for me) are a great contender in the unlimited hosting world. If you’re looking for simple yet effective, I’d highly recommend this host to increase your online presence. If you’re not worried about a nice-looking website and fancy features, JustHost provide quality hosting and customer service in a simple manner. 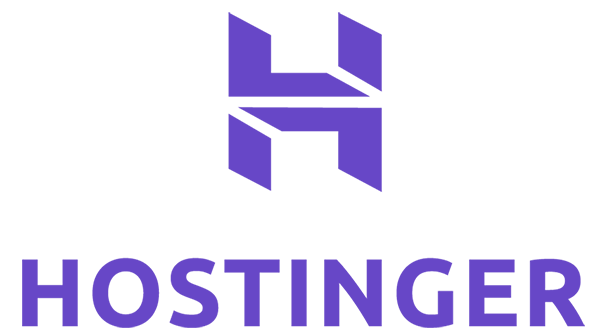 Although they aren’t my number one choice, I can definitely recommend JustHost if you want affordable hosting without the frills. For customers who are looking for a host who can provide a free website builder at a fraction of the cost of some of its competitors, JustHost are a solid and reliable option. An award-winning U.K. hosting company, Heart Internet boast exceptional performance and value for money. Unfortunately, I didn’t have the pleasure of experiencing such promises, but there must be some truth behind their claims. As web hosts go, Heart Internet provide a very user-friendly interface, offering beginners and experts alike a solid place to manage their accounts. If you’re researching the best web host, or simply shopping around for web hosting, you’re likely to see the term ‘shared web hosting’ quite a lot. Unless you have a specific need for any other type of web hosting (of which you’d already know about this), then shared web hosting will be your default go-to hosting option. Because shared web hosting customers share their server space with others, these plans are much more suited to people wanting to host a simple website, blog, or small business. For people who are looking to expand into a medium to large business where more resources are required, dedicated, VPS, or even cloud hosting would be a better solution. 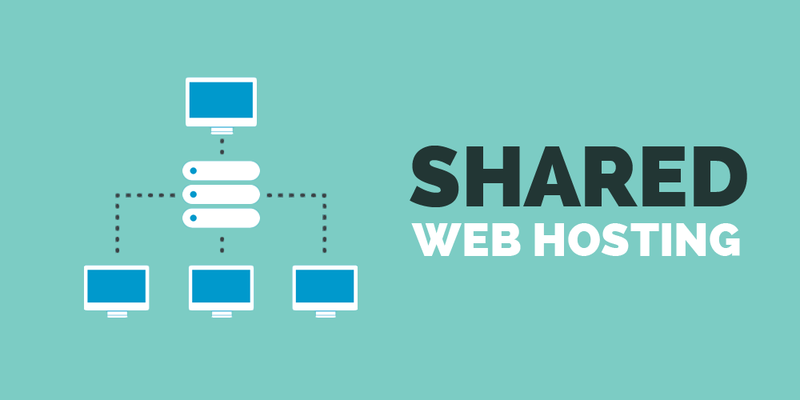 If you’ve never hosted a website before, shared hosting would be my recommendation to you. Your web host has the responsibility to maintain all of it’s servers to ensure that your website performs as well as it can do (within reason). You, on the other hand, have the responsibility to maintain your own website; upload files, set up email accounts, monitor performance. Most web hosts won’t step in and help with these sorts of tasks unless you pay an additional fee. What is a 1-click WordPress installation? 1-click installs are very popular and tend to come as standard with most web hosts. If you sign up to WordPress (outside of your web host) you’ll need to pay for your WordPress site. The reason being is that you’re essentially buying a domain name and hosting for your WordPress site. When you purchase web hosting, you’ll have either linked a domain to your website or bought one (or got one for free) via your web host. Once you’ve signed up, your web host will provide you with your control panel login, giving you access to 1-click installations like WordPress. It really is as simple as it sounds. 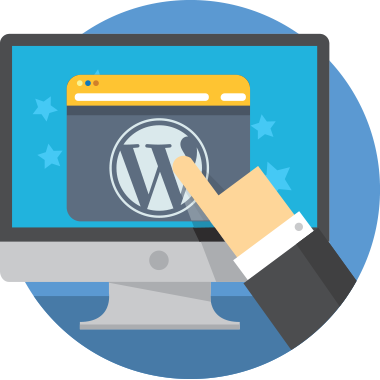 Click a button and WordPress will be installed to your web hosting account – voila! You can then login to WordPress via your web host or via WordPress’s website, giving you the freedom to roam through tonnes of free templates, themes, and plugins to make your website even more awesome! What’s the difference between Storage and Bandwidth? Another common feature you’ll see when browsing web hosting companies is storage and bandwidth. Often these two items will be capped, e.g. 10GB or you’ll see them labelled as unlimited (more often than not). I spoke briefly earlier about the capacity each ‘section’ of a server can hold. The term storage refers to how much content you can store on a web host’s server. This covers images, files, HTML, scripts, etc. The best way to think of storage is to think of a filing cabinet; it can only hold so much, but often it’s plenty for your needs. It is, of course, a safer bet to choose unlimited storage if you’re not sure how much space you’ll actually need. However, it’s worth bearing in mind that the average web page is 3MB in size, so if you find a great host without unlimited storage, don’t let it put you off. Bandwidth may be a little more tricky to get your head around. When someone visits your website, data is transferred between your website and the user itself. Bandwidth is also used when files are downloaded (e.g. images on your website, text, etc.) and when your website is backed up. The more visitors you have to your website, the more bandwidth you’ll require. The average basic web hosting plan will generally support around 10,000 visitors (10GB), which is often sufficient. However, if you know your website receives a lot of traffic, or you’re planning on opening an online business, you may want to find a web host that offers you unlimited bandwidth. WordPress hosting is the same as shared hosting in that customers buy a ‘slice’ of a server to host their website on, but it’s more of a concierge service to those with or who want a WordPress website. WordPress web hosting may also be referred to as WordPress managed hosting; it essentially means that the main focus of your hosting plan is WordPress based, and you’ll have experts on hand who know a lot about WordPress to help you should you require it. WordPress hosting is generally much better optimised to the application itself, as well as offering enhanced performance and security needs. Some web hosts may also update WordPress automatically for you to ensure that your applications are never out of date! If you’re really lucky, your web host might even keep your plugins and themes updated too. If you’re thinking about dabbling with WordPress, I’d recommend getting a shared hosting plan like SiteGround or Bluehost that offers 1-click installations.